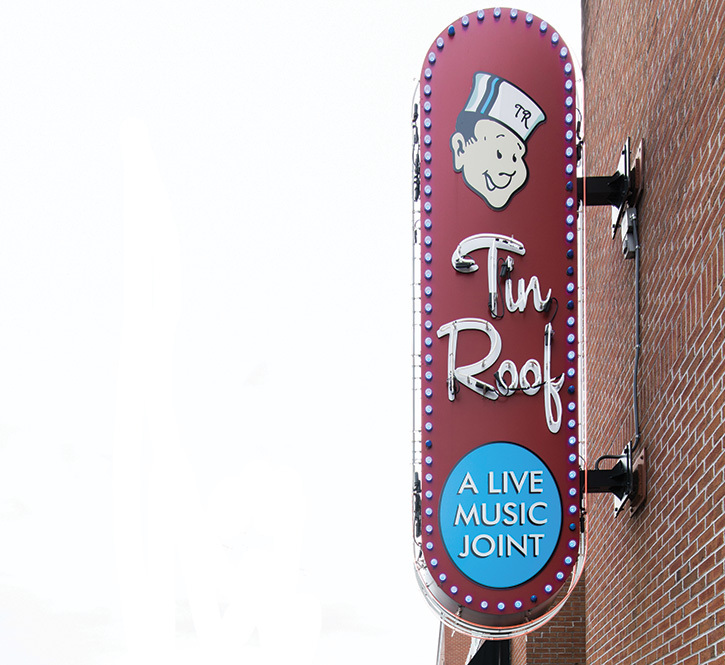 Tin Roof heats up the historic Memphis district's live music and dining scene. 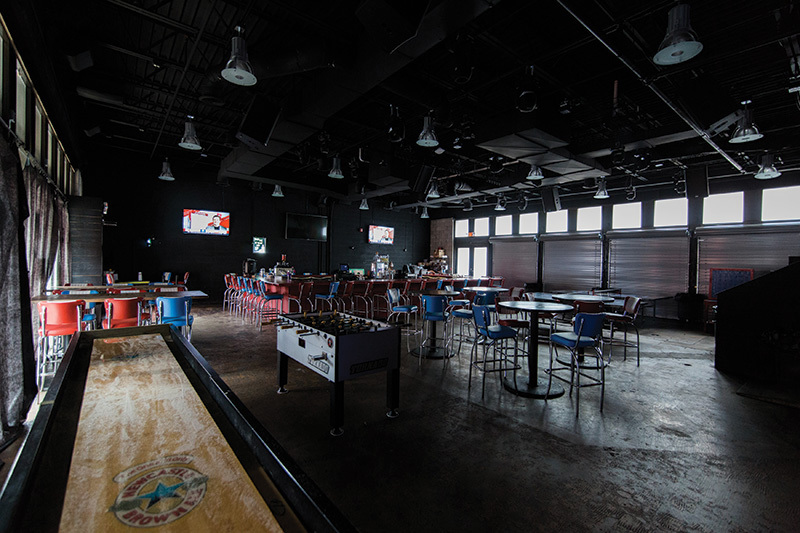 Tin Roof’s AVL elements, taken together and shown in action, combine to create a successful environment for patrons, and a competitive edge for the owners. The battle of the bands—a match between local rockers for neighborhood bragging rights—has long been a cultural rite of passage. But when those band members grow into adults, the battles sometimes continue, with the stakes becoming even greater. It’s been a bit like that on the east end of Memphis TN’s legendary music-and-bar strip, Beale St., where W. C. Handy wrote its theme song, “Beale Street Blues,” marking it indelibly as an American musical landmark. After sinking into decrepitude in the 1960s, Beale St. came back big over the course of the last two decades. Today, in less than two miles, the bluesy strip packs in almost 40 evocatively named clubs, bars, restaurants and music venues, ranging from BB King’s Blues Club and Wet Willie’s to the Red Rooster and PurpleHaze. Tin Roof comes into a highly competitive strip of bars and club venues on Memphis’ famed Beale St. AV is an important part of the club’s differentiation strategy. The tables and chairs are moved out of the way at night when the new Green Room DJ-dance area opens up. Three displays are located near or behind the bar, and the DJ roost’s turntable can be used to trigger video content. Tin Roof set its first roots down in Memphis two years ago, opening in June 2015 in what had been the former Hard Rock Café there. That iconic venue’s departure helps to underscore the intensely competitive nature of a place like Beale St., where the collegiality between club and bar owners exists alongside the need to win the night, every night, but especially on weekends. 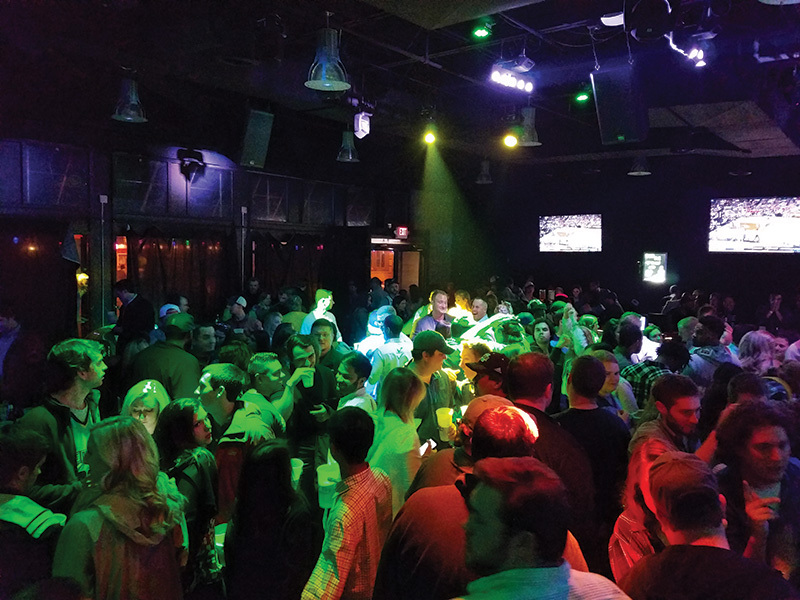 Tin Roof’s main room serves burgers and blues, and it does both well; however, the club’s management had planned all along to expand, working on a 2,000-square-foot space, dubbed the Green Room, that would add a dancefloor and DJ to the mix. That launched this past March. 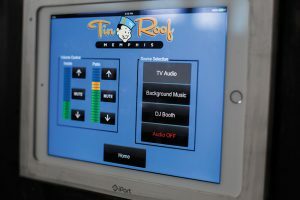 South Central AV, a Nashville-based AV systems integrator that has worked with the Tin Roof brand in the past, focused first on the sound system. A Pioneer DDJ-SZ2 four-channel controller for Serato DJ is the focal point of the DJ platform. It outputs to six QSC E15 full-range speakers and a pair of GP218 dual 18-inch subs. The DJ system is powered by four QSC PLD4.5 5,000-watt amplifiers, and the 70-volt system on the patio is driven by one CXD4.3 processing amplifier. Controlling the sound was important, because the Green Room is virtually all concrete, including the floor and three out of four walls (the fourth being glass). That made the space, potentially, an acoustical nightmare. The room’s optics were important to the owners; that meant that no acoustical treatment could be used to minimize reflections. The alternative was to focus the speaker system as tightly as possible, keeping the sound off the walls and on the dancefloor, where crowds can help to mitigate reflections from the concrete surfaces. Speaker placement and aiming was done using Bose’s Modeler sound system software. 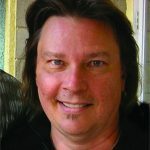 Robinson said those types of predictive software, and the sound systems themselves, have gotten to the point where they don’t necessarily have to be paired with their own brands; they can be used interchangeably. “We got a very good picture of where the sound would fall using the Bose software, the QSC speakers and a BSS Soundweb London BLU-100 12×8 processor,” he explained. The DJ riser is built into a corner and under several of the PA speakers; thus, it didn’t need a monitor speaker. Interestingly, it also employs the automated mixer function in the BSS processor, which allowed the integrator to preset gain limiting. That serves several purposes, including keeping a lid on overall volume during DJ nights and eliminating the need for a front-of-house mixer and console for times when no DJ is present. “Touring DJs might take issue with that, but not the club DJs, so it’s working out very well here,” Robinson said. On the other hand, the mission was still to use the sound system to maintain the venue’s presence on the highly competitive street. To that end, South Central AV configured the subwoofers in a stacked arrangement, which Robinson said gets the low-end pulse through the wall and into the street, where the thump is audible but not overpowering well down the block. (It also helps to counter the outdoor speakers that at least one other venue has installed to attract attention). Also helping is a patio off the venue, where six QSC AD-S10T 10-inch, two-way surface speakers and two QSC AD-S112sw 12-inch surface subwoofers help to project the sound. Although the QSC and BSS components are network-capable, South Central AV stayed with copper for the new venue’s audio, using 10-gauge wire for the dance area because of the amplifiers’ high wattage. Initially, conduit was considered for the wire, but, again, aesthetics came into play. So, the club had the GC build a thin wall a few inches in front of the main one, through which the cables were pulled. Long runs were done through the open-grid ceiling, which had been spray-painted black, concealing the wiring there. The Green Room’s video has a connection to the audio: An HDMI input was included at the DJ position, allowing visiting record spinners to bring their own motion graphics; that’s a trend that has become increasingly common among club DJs. Those are shown on three LG displays: two 65LX341C 65-inch screens and one 79UX340C 79-inch screen, located near or behind the bar. The Serato software and the turntable can be used to trigger video content. 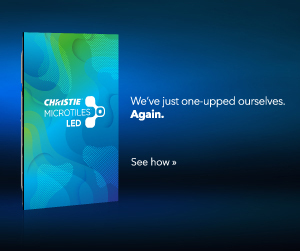 The displays are also tied into the Technicolor MediaTune system, which will let the DirecTV content be routed to them, when desired. That’s controlled through a Crestron RMC3 room controller. The cable runs for the video screens can reach 60 feet, and they use Cat6 wiring. One of several touchpanels that let venue managers easily manage AV systems. With a total of 14 Tin Roof venues, as well as other burgeoning club brands, Franklin also understands that “mission accomplished” in the entertainment realm is, at best, fleeting.